1.Tell us something hardly anyone knows about you. I got my pace because children at school chased me home with insects. Well, my nickname with my peer group now, which doesn’t seem hard-hitting for my 100+ kilo frame, is ‘Paulie’. Particular insects tend to get me a bit jumpy. 4. Can you describe your writing style in ten words? Silly, abstract, humorous, creative, spaghetti. Fantastic Mr Fox – he’s a bit Robin Hoodish. Maybe day one – and say “you don’t want to eat that”. Are you wearing a circus tent? My mum would be up there with her wooden spoon. The 'itch'. If you ever have an itch, go for it, whether it be to commence a journey or be a writer or something else of a creative nature. Listen to yourself first then deal with the critics later and hope one of them is on the same page. It would have to be ‘Oiy’. It can replace hello, replace a person’s name you forgot, yo can say it when the ref gives a bad decision, when something scares you, when you find an item you misplace, text it to let them know you’ve received a message and so-forth. It’s pretty handy. The Never Ending Story. Sorry that’s just an eighties joke. 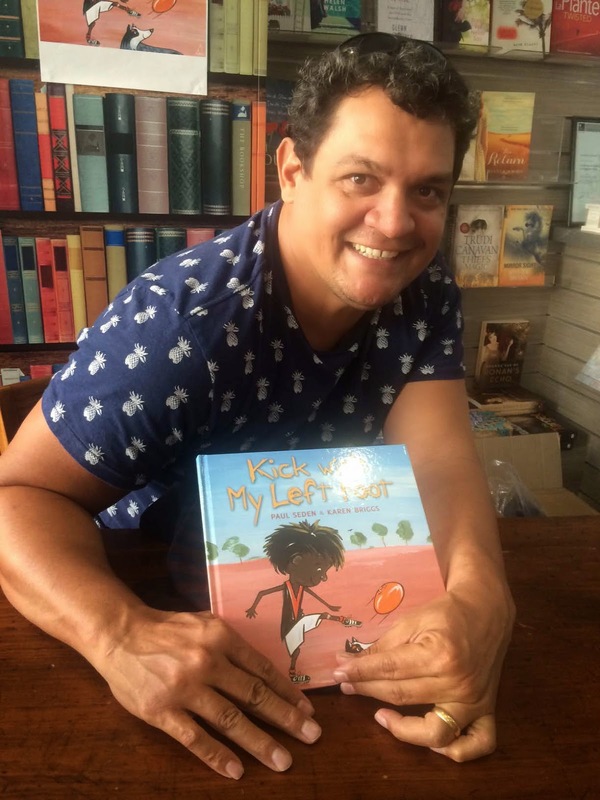 Paul Seden has a background working with Indigenous kids in the schools of Darwin and remote communities in the Northern Territory. 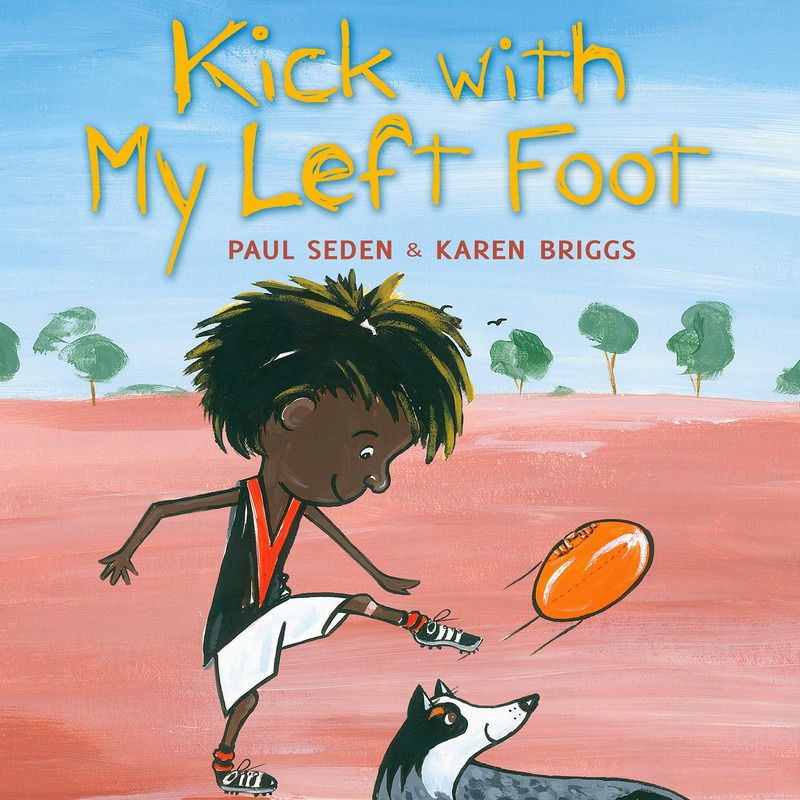 This was the inspiration for Kick with My Left Foot, his first picture book, published by Allen & Unwin in June 2014.